Each year, many Americans come together to observe the nationwide Hispanic Heritage Month celebration from September 15 to October 15 by celebrating the history, culture, and contributions of American citizens whose ancestors came from Spain, Mexico, the Caribbean and Central and South America. The celebration and observation of Hispanic Heritage Month started in 1968 as Hispanic Heritage Week under President Lyndon Johnson and was expanded into a month-long celebration by President Ronald Reagan in 1988 to start and end September 15 and October 15 respectively. Zumba Fitness involves dance and aerobic elements that incorporate hip-hop, soca, samba, salsa, merengue, and mambo dance moves. This session of Zumba will be led by former Saginaw resident and CMU Police Officer, Laura Rico on September 20 in the Student Activity Center. This event will take place from 7-8 pm, and is free and open to the public. The annual Hispanic Heritage Month Food Taster where you can taste delicious dishes from Latin American countries like Brazil, Cuba, and Mexico. The Food Taster will take place on September 27 in the Bovee University Center Rotunda from 5:30 – 7:30 pm. General admission is $5. The CMU Symphony Orchestra will perform an all-Latin American Concert in celebration of Hispanic Heritage Month on September 27 at 8 pm. The concert will take place in the Staples Family Concert Hall and is free and open to the public. Rosa Clemente, a Puerto Rican grassroots organizer, journalist and entrepreneur is scheduled to be the Hispanic Heritage Month keynote speaker on October 8 at 6 pm in the Plachta Auditorium. 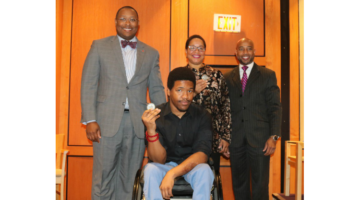 Clemente is one of this generation’s most sought after public speakers. 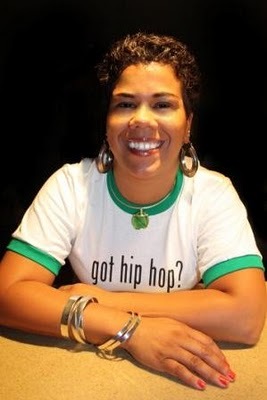 Minister Ben Chavis-Muhammad of the Hip-Hop Summit Action Network said of her, “Rosa is one of the most inspirational and dynamic speakers of the Hip-hop generation. After hearing her speak, you will be inspired to join the movement for social justice”. A full calendar of 2012 Hispanic Heritage Month Events at Central Michigan University can be found by calling the Multicultural Academic Student Services office at 989-774-3945 or by emailing mass@cmich.edu. All events will take place on the campus of Central Michigan University at the Mount Pleasant campus. 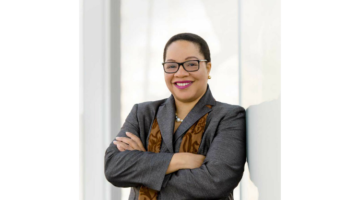 Dr. Traci L. Guinn is the Interim Associate Vice President of Central Michigan University's Office for Institutional Diversity.